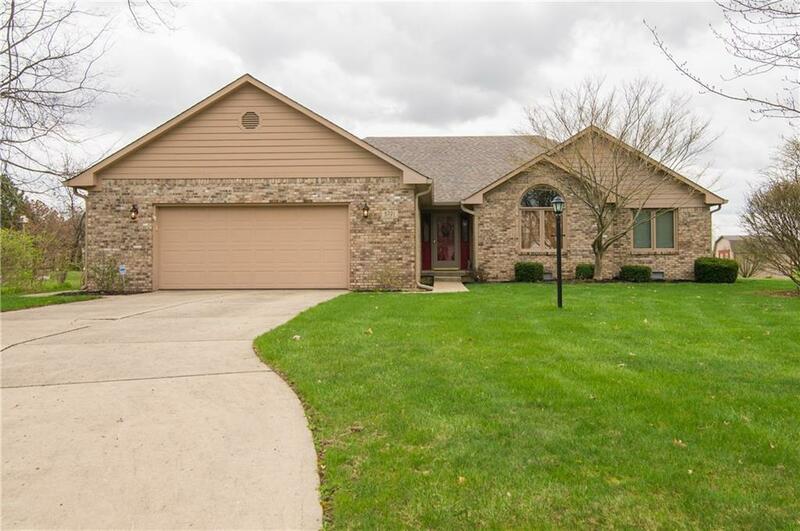 Spacious Brick Ranch with finished basement. Kitchen features Stainless Appliances, Quality cabinets, Hardwood Floors & Breakfast Bar. Eat-in Kitchen overlooks the deck and water. Great Room features Cathedral Ceiling with fan, neutral decor and Wood Burning Masonry fireplace. Large Master Bedroom has a walk-n closet & view of the water. Updated Master bath features a whirlpool tub and tile shower. Basement is great for entertaining or exercising. Additional room for storage. Neutral decor. Home shows true pride of Home Ownership and is in "Move-IN" condition.